What did you spend $200 on this week? Dinner? A new outfit? A video game? What would you spend $200 on if that is all you had for the month? Food? Lights? School supplies? The reality is that in Jamaica the minimum wage is J$5600 per week, which is approximately $51 USD. How do you choose what is more important? Will you feed your children or send them to school? 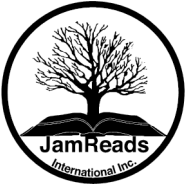 Since 2009 JamReads International, Inc has helped over 1000 underprivileged school age children receive backpacks, reading books, school supplies, and dental products through our Packed for Success program. Our hope is that receiving these gifts will allow children to feel more secure, confident, and excited for school.